It has come to my attention lately through a few anonymous comments that some of you may feel my site has strayed slightly from what it started out to be. So, I would like to take an opportunity to explain my general philosophy for PPF so there will be less confusion moving forward. I completely understand that my definition of penny-pinching versus someone else’s may be different. Overall, the content of my site has been & will continue to be highlighting pieces that I believe to be affordable for most people. I will, however, on occasion do collaborations with other bloggers, brands or retailers that feature pieces which may be considered more of a “splurge” or a watch-until-it-goes-on-sale item. But these will be less frequent than my usual posts and, whenever possible, I will try my best to provide a link to a similar style that is more budget-friendly. You will never see any high-end designers on my site (unless my husband decides to surprise me with a Chanel bag or a pair of Louboutin’s for my birthday – guarantee he’s laughing outloud reading this! )…mainly because it is not in keeping with my income or lifestyle and I want this blog to remain true to who I really am. Most of my personal shopping is not done with these brands – I have never purchased anything from Bergdorf Goodman, The OutNet or Barneys. I do believe there are items worth saving for & investing in if it’s something that will last you a long time and is a classic, well-made piece (my Michael Kors watch is a great example, even though it was purchased pre-owned from eBay). I am also open to suggestions beyond these and really would love nothing more than to have an ongoing open dialogue with my readers. I understand that anonymous comments will happen (it comes with the blogging territory)…but if you have a question, concern or constructive criticism, please don’t hesitate to email me directly so we can talk about it. I appreciate your honesty & willingness to help me make this site the best that it can be for everyone who comes to visit! Personally, I love the style inspiration you provide and believe your posts to be on target with what I expect to find when I visit your lovely blog. Keep up the fabulous work! Please do not change anything. I believe it is the readers own responsibility to absorb your fashion ideas and create their own budget. All clothes do not flatter every body type, just as your budget is not a perfect fit for every reader. Keep up the good work. You bring a smile to the single, non mother with every new post. I love this blog the way it is, please don't change anything about it! I think the pieces you feature are all very affordable. Leave it exactly the way it is. I love that you show that if you want to buy affordable pieces you don't have to only shop at Target or Walmart. If you are smart, savvy and patient you can get great deals on stylish pieces from mall stores. The biggest reason I voted for you on the stylist challenge was that your pieces were wearable and they didn't take the easy road by going straight to Target. I love Target but anyone can go there and find items. Where is the fun in that. If there are haters, let them find another blog. I enjoy your blog the way it is. I would't mind you doing remixes on versatility of pieces. The hauls would be o.k. personally though,I don't think it's anyones buisiness what you spend! I love you find things on ebay. You are always giving me great ideas! If people aren't happy, they shouldn't read blog. As my mom would say, if you dont have anything nice to say, don't say it at all! LOL Dana. I love your style and your blog! I'm a newer reader, and this has become my favorite fashion blog. Your posts are beautiful, wearable, and most importantly achievable with my wallet. 🙂 Not sure how I feel about a monthly roundup of what you spend, but I think once or twice a season it would be nice to showcase what have become your new key pieces. I think most women just don't have the funds to wear different designer clothes on a daily basis but I also think that most women splurge on items here and there. There's nothing wrong with you choosing a higher end item if it will pay for itself over time and its classic and I say, stand by the item you believe and love! I'm always wondering what works for other bloggers, its a great way to find new amazing things. Keep up the great work! I love your blog. I love your blog! I think you do a great job! I do like the idea of some more remixing (as long as we can find a similar item somewhere online still – so we can recreate) don't let people get you down- you do an awesome job and make frequent posts- love it!!!! The best part of this blog is that you demonstrate fashion is achieveable at any budget. Sharing where you splurge and where you save is useful information. Keep it up. I love your blog. Please don't change anything. While I understand why you felt the need to write this, I too agree that you can't please everyone. You've always been responsive whenever I have had a question. And, there are times I will watch particular items I want. I will not overspend my budget and often if I don't find the exact item I want, I find something close that will work. Your blog is my favorite. Kim, I started following you on FB some time ago and I don't think you need to change. Your outfits are realistic and for the most part, accessible to many. At the end of the day, you need to stay true to yourself and not cater to what people want b/c you won't be able to please everyone. Please yourself and it will resonate in the wonderful work you do. Ps I am writing this annoy mousy b/c I don't have a blog id. I love your blog and do not see a problem with the previous collaboration you did. This is an outlet for you and should be fun. And it is no ones business how much you spend so i dont think you need to leave posts explaining yourself. Even if you have a few more expensive pieces, showing how to incorporate them with a lot of inexpensive peices is what is helpful. Keep your blog the way you want it and those that adore it will continue to read it. I admit that I've rolled my eyes before when I compare your outfits to your blog title. It's like when Michelle Obama wears JCrew and everyone goes nuts like she's a normal person. Realistically, most normal people don't wear JCrew. Or if they do, those normal people are making some questionable budgeting choices. Don't get me wrong, I consider myself extremely frugal, but I'm sure there are some things that I own that other people think is "fancy." I know people that think I'm uppity for shopping a the mall. I guess the point I'm trying to make is this: Just because you named your blog "penny pincher fashion" doesn't mean that you have to hold yourself financially accountable to some anonymous whiners. You should buy whatever you want, even if it's crazy expensive. Maybe you're a penny pincher and you went weeks without Starbucks to afford the piece. People can just shut up and go about their own lives, thank you very much. Keep your blog the way it is, or change it if YOU want to, but not all feedback is worthwhile. PS: This is really strange, but I think you just LOOK rich. Your face and hairstyle make whatever you're wearing seem WAY nicer than it actually is. Maybe people are just jealous. I know I am! I really like your blog!!! What I really love, you look fab without being dressed from head to toe with items that cost hundreds of dollars. I appreciate you have a strong sense of selfworth and don't need expensive items for an identity. I know so many that spend money for a fashion item, or even a vehicle, but can't meet basic monthly expenses. Just keep doing what you're doing. Lots of love from another penney pincher. 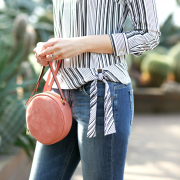 I really like seeing how other bloggers spend their money and wear their real clothes that stay in their closet – not just purchases worn with the tags attached to be returned later (not that you do that, just as a general comment). I've been keeping a spreadsheet of my purchases to hold myself accountable, and then putting all the purchases in a post – it helps me see where my money is going and makes me a smarter shopper. i like your blog the way it is! everyone's idea of what is affordable is different and i think part of the fun of reading blogs is seeing different styles at different price points! just my two cents. keep up the awesome posts regardless! Your blog is great the way it is, everyone deserves a splurge every once in a while anyway! Kim, I think your blog is perfect the way it is. I know there is often negative connotations with "changing", especially in the world of fashion and fashion blogging. I sometimes see it doled out as criticism–I used to like that blogger, but they've changed. I think it's always important to embrace and reflect on criticism or dissenting opinions, just as it is important to sit and occasionally think about your own personal philosophies and agendas–as you have done with this post. Introspection, even if it can some times be difficult, does a body good. But change along the way is also healthy, even if it's not always embraced by everyone. I used to worry over stepping on toes and receiving criticism from it in my own life, but I know that if I never changed, I'd still be clad in holey Hollister & Co, cleavage-baring tops (oh, the bad quality), flip flops, and ill-fitting denim mini skirts. I would have never left South Dakota, or gotten married to the husband I love so much right now, or discovered how much i love health, fitness, and fashion. I love your blog and it is a daily read for me. I feel like most items you post are within a "normal" budget and I usually want to order many of the items! I love the way you put together outfits and feel they are great inspiration for my own outfits…even if I buy different versions of the cloths/accessories at a different price point or use items I already own. Great job! It would also be fun to see your monthly budget/what you've bought since that is something I have been thinking about starting to track my spending more. I love your blog and read it every day. I would'nt change a thing. Wow…this is such a touchy subject. I was intrigued when I saw the tweet about the post especially when this was a topic we talked about months ago. I do not think that you should change your blog based upon feedback. It is personal and if you feel the need to change or alter the vision of your blog as you have grown, then do it! In my personal opinion, I don't ever read your posts and associate you as a budget blogger. I do, at times, question if you are truly a 'penny pincher' but only because I think that we define that term differently. You wear a lot of brands that most people consider to be on the more "expensive" side for the average income (IE. J. Crew, an Anthro piece, even Ann Taylor, Loft if bought at the 'original' price, Nordy's buys) because people hear the name and have a preconceived notion of price EVEN if you got a killer deal. I think the only thing that is in question is if you are really a 'Budget' blogger. I think you shouldn't have to define what type of style blogger you are and then you wouldn't have people questioning your motives. I wish there was a standard definition that the blogging community could use to determine 'budget'. I do not consider you a budget blogger (in my humble opinion). Budget to me is a set dollar amount each month, whatever is comfortable to your lifestyle, and sticking to it. You may do that but it always "seems" like you have a new piece or you found a killer deal or you just had to have this necklace/sweater/skirt/shoes giving ME the impression that you are getting things all of the time (WHICH IS PROBABLY NOT TRUE). I think that is the downside to social media, it leaves things vague and open for people to criticize, judge and let their imaginations run wild. Now that I have rambled and repeated myself…sorry about that. Follow your heart, only change what YOU feel (if anything) and do what you do! i love your blog! although I would love to take a peek at your monthly purchases so I can actually go find that item in stores! I have only recently began to follow your blog , so I don't know what it was like in the beginning, I think you're fab and I live your style! I live in Ireland so it's hard for me to buy most of the items, although we do have h&m and forever 21 and you have directed me to some great pieces available on eBay! Don't change a thing! I love to see what you're wearing and try to recreat a look with what I have available to me! I agree with on of the comments about you looking rich!! Your hair and makeup are always flawless, which can only make some people jealous of you! Don't listen to anyone and be true to your own style!! I enjoy this blog, and I think you do a good job offering affordable options, and mixing with the occasional higher end piece. Personally I shop second hand for most of my clothes and accessories, and at places like Target, H&M, JC Penny, Forever 21, Old Navy (etc) for new pieces. I would consider something from JCrew to be a "splurge", but that's part of my stage in life as a working mom with young kids. I would LOVE some more posts remixing and a budget break down of how you spend your fashion dollar, simply because I struggle with using my current wardrobe to it's fullest and getting the most bang for my buck fashion-wise. But don't feel you change the kind of outfits you post or what you do, you are a great inspiration! I think the great thing about a blog is that it is YOURS and you get to decide what you want to do with it. If other people don't like it, then they don't have to read it. There are plenty of people out there that do like it and will continue to read it no matter what you change. Personally, I like blogs that show remixed pieces sometimes. I don't always have time and/or money to buy a new piece, so I appreciate that bloggers can post something that makes me look twice in my closet to create an outfit. Just my 2 cents. 🙂 either way, I like your style and your blog! When I originally discovered your blog, I was like, "Hooray! ", someone who can put together outfits that look expensive, but are budget friendly. So many of the blogs I read show outifits with pieces that I would never buy myself. I am a stay-home-mom and have learned that it can be fun to find those inexpensive items that look expensive. That is a rush for me. I enjoy the hunt for that great bargain item. I say keep up the good work and don't change anything! A fun addition to your blog would be to show one of those "expensive" outfits and then show your own version of the same look for less. I like the idea of having both of the above. I think your blog is great the way it is and I recognize lots of your pieces and how you've remixed them. But sometimes I do wonder how much fashion bloggers are spending, especially when they're frugal shoppers. I think seeing those numbers helps other women to create their own budget. Just my thoughts! I love the fact that you wrote this post and that you're being so honest and frank with everyone. Peoples style and budgets evolve and change as they get older. Yes, you are a penny pincher-an amazing one at that, but if you want to go splurge on something you should have the right to do so without having to explain it to everyone. After coming to the realization that I need to get out of the hole of debt I was spiraling into, I've looked to you as my inspiration to be more frugal with my money. Doing this has drastically reduced my debt but I still drool over Louboutins and I store a little away each month so I can some day buy a pair, in cash, to treat myself. Every girl should be allowed to treat herself-doing so doesn't mean we're going to shop Barneys from now on and completely change how we shop and dress. I think it's wonderful you get all of these sponsorships and some of the pieces you're gifted do go on my "items to watch" list. You shouldn't have to apologize or explain yourself for your successes. Through all the sponsorships you've always remained true to the Penny Pincher Queen you are! As for the blog- I love how it is. I think it would be fun to see you add in the other two posts you mentioned though. Especially remixing-because I'm on a budget I can't afford to buy new things every week so I'm constantly remixing and it would be great to see how other bloggers remix as well. It starts to get fun to see how many ways you can wear one dress. Above all- always stay true to yourself and be proud of who you are! There will always be people who hate what you're doing but on the other side there are 100 times that many people who love you! It's upsetting that people use the internet to reach out and punch others. Sending some intertubes hugs your way. Love the blog, I like the re-mixing idea! I think it is hard to be defined as a budget blogger because we all have different budgets. I think we had this conversation a few months ago. I personally love your style and blog. You have great pieces that I know you've found good deals on. I'd love to see some remixes (mostly to help me create new looks). Keep up all the hard work! Love it. Dont change a thing. I love your blog! But then, your idea of "penny pinching" seems to be IDENTICAL to mine. And since everyone has a different budget, there is no way to pinpoint what a "good deal" is to everyone. 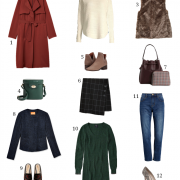 Thank you for including pieces from Target, H&M, etc on a regular basis but still mixing them with my personal favorites (LOFT, Banana, J.Crew…). You're doing a great job!! Ignore the haters girl. Your blog is inspirational and lovely everyday. You can't please everybody but there are also people out there who just want to bring others down with negativity. I love your blog and yes, it's changed, but change is inevitable and you haven't strayed from your true self. I definitely don't have the style I had ten years ago (thank goodness!) Personal style changes with time, stage of life and occupation! And honestly, I'd get bored if I didn't see you trying to make changes. Addressing the penny pinching issue, I still think you shop in stores that are within budget for the 'average' person. I look to bloggers for inspiration – ways to mix pieces that I own to stretch my wardrobe – not as a means to make a shopping list. You deserve to splurge when you can without judgment from others – even if that splurge item is used watch. Lol. Kudos to you for addressing the anonymous comments. You know I'm a big fan of your blog (even though NONE of it applies to me personally .. ha!). Personally, I'd love to see you throw items back into the mix of things to show how versatile some clothing items can be. To me, it allows me to relate a bit more to the blogger, because (like many) I don't have the budget to have an endless closet. I'm constantly recycling things into my wardrobe, and I'd love to see how others do the same thing. Kimberly, don't change anything. I personally love your style and what you do. I discovered your blog not too long ago and I love everything about it! The majority of the girls who responded are right. Everyone has a definition of what is affordable and yes, there are some things I can't buy (yet), but that doesn't mean there I won't purchase other pieces I've seen on here either. I mean, I never thought of shopping at Ann Taylor, but because of you, I just made a stop there a few days ago! People always have a viewpoint on brands and it's bloggers that changes other people's minds. Your success is your success. If you happen to be able to afford a pair of Louboutins one day, then you DESERVE IT! It's called saving money for those who are going on a rant about this. Kim, I've only been following your blog since we met at LuckyFABB in September last year, but I have to say that you are one of my favorite personal style bloggers. I find you to be completely genuine, transparent, and one of the most fashionable women I know. You always look chic and do so on a budget that most can relate to. I appreciate and admire the fact that you took the time to address your critics in a public blog post, even though they hid behind anonymous comments to criticized you. It's only natural for your blog to grow and evolve as it gets older, and I think you are doing an amazing job staying true to yourself while working with some amazing brands. I will admit that I've wondered about whether you actually pinch pennies, but what can be misleading is to say that you are wearing a designer piece but not saying that you purchased it at TJ Maxx. I think people automatically assume that you bought it at full price at Nordstrom's. However, I think that since it's your blog, it's your decision on what you want to post. I certainly read you every day and look forward to the next outfit. I agree with the one commenter who said that you look "rich." You've got beautiful skin, great hair, are thin, and very pretty. You could be wearing rags and still look great! Love the blog already, but really love the idea of featured re-mixes. We all want to get more out of our closets! A monthly run-down of purchases would be interesting–but you might not want to be quite that transparent, understandably. Don't let the nay-sayers get to you—you're doing a splendid job! Hi, I'm a new reader and I'll admit I kinda thought from your title that you would be more of a thrifter like me. I'm uber cheap with clothes, that doesn't mean I don't splurge but it's really rare. I would be interested in seeing price breakdowns, but even more interested in seeing you use pieces in multiple ways, I think that is something anyone can relate to regardless of cost. I think you are fabulous and absolutely love your site. You have provided me with much inspiration and I appreciate your budget-mindedness and willingness to share your great deals. I am also a penny pincher and deal hunter, but we all have to splurge occaisionally! Espeically as gals who love fashion as much as we do!! Keep up the good work. I am a recent follower of your blog and I really love it. My husband and I are on a tight budget, but I don't like to give up fashion! I find your posts fun and helpful! I would love to see some more remixing. Remixing is one of the things I have to do to keep it interesting without a big budget and I get stuck in a rut a lot of times. I wouldn't mind seeing what you bought each month, but the remixing would be amazing! However, I do like your blog as is and thank you for posting so often! I love your blog, and even have bought pieces I have seen and stayed within my small clothing budget. I think that all the posts and fashions I have seen definitely qualify as budget friendly, though I also think everyone is entitled to a splurge on staple type pieces. BUT I have caught myself many times thinking when seeing your posts, "she must just buy a ton of inexpensive stuff, and in total spend more than someone on a small budget really would…" So I would love to know how (or if!) you stay in a budget, how much you really spend and how you remix your pieces and outfits. Personally, that might help me more than seeing 1000s of different pieces. Keep up the great fashion! i like your blog and style. as for your new ideas: perhaps implement them once o month or so? change is good. as for comments about the items…penny pinching means thrift store to some and loft and limited on sale to another. you cannot please all the people all the time! I love your blog the way it is, but I think adding the two new features could only make it better! I think you are fine as is. No changes necessary! 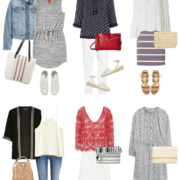 However, I do like when other bloggers do a monthly breakdown of their clothing purchases. I love it as is! I love seeing an entire outfit where there's maybe one piece you paid $100 for, mixed with a skirt from Forever21. Keep it up! Love your blog as is… no change necessary unless you decide to evolve your blog and that's your choice and decision. I love your blog as it….. no change necessary unless you decide you want to evolve your blog and that's your choice. Kim, I love your blog! I think you have stayed very true to yourself and I would pay no mind to the haters. It's really not fair at all, and I'm MAD for you!!! This is your blog, your place to be creative and share your gifts. Those that have an issue with something can simply chose not to follow. Don't worry one bit because there are plenty of us who support you and don't want you to change a thing! so sorry this happened and that it caused you to feel you have to defend yourself and your intentions. i've been meaning to comment on this for days, but you know how i feel! people take our blog names so literally…believe me…i have gotten the "who does she think she is calling herself stylish" snarky remarks too. didn't even think of it that way when i came up with my blog name! lol. you can't please everyone all of the time. just know that there are so many of us that LOVE you and your blog just the way you/it is. love you girl!!! Hi! I think that a small shift naturally occurs from the point you started a blog, as it progresses. I think that's completely normal. I think your ideas and subject matter may stay the same, but a modification here and there doesn't mean that you're 'selling out' or straying from your original goal. Also, so what? Who cares. Are you not entitled to change your mind? As a blog develops, other avenues open up, and I don't see anything wrong with exploring other options. I'd like to see more of a detailed summary of what you've bought in a month. I'd really love to see more of how to style the same pieces in different ways. Knowing how to create a entire wardrobe out of a few pieces is much more a trait of a "penny pincher" than highlighting new pieces all the time (even though those new pieces aren't expensive). I enjoy your blog so much & thanks for sharing this part of your life with us! I don't think you NEED to change anything. The fact that you never wear "high end" brands supports the idea that this is a blog about budget-friendly style. However, if I were going to make a constructive comment, I would say that I can understand why some people might be somewhat alienated by your blog or feel that it doesn't help them – only because it does seem that you shop A LOT and always wear something new. So I think your idea of doing more remixing and showing versatility is a great idea. I'm a style blogging newbie, and I know that I've experienced that urge to always wear something I haven't shown yet, but then I remember that the point of my blog is to show what I wear in my real life, and that real people with modest budgets aren't expecting me (or you) to wear brand new clothes everyday. Normal people might wear the same pair of pants twice in a week, and that's OK! But seriously, your blog is great and I think you will keep a great following no matter what you decide to do. I've been following your blog for awhile and have never commented before. I think you're doing a fabulous job of keeping true to your voice and who you are. I would love to see more re-mixing of already owned pieces, plus a monthly update on what you've purchased. I think it's important to invest in classic pieces (note, not expensive) and be able to rework them for years to come. somehow i missed this post but felt compelled to comment – keep doing what you're doing! and change if you want to change – it's obvious you love fashion and you have a real passion for style and beautiful things. if as a result of your hard work, you begin to get things sent your way or you simply decide that you want to start wearing designer labels, you should go for it. i think you have an amazing talent for shopping on a budget and creating luxe, expensive looking outfits for less. that isn't easy! you make it look easy and i think that's where some people get confused (or jealous).